SherpaDesk invoicing software gives you the ability to send customers invoices so everyone can get paid faster, and there's no lost revenue. SherpaDesk is already tracking your time, customer rates and expenses. With integrated invoicing you can now simply email your customers whenever you're ready. Stop losing revenue from lost expense items. 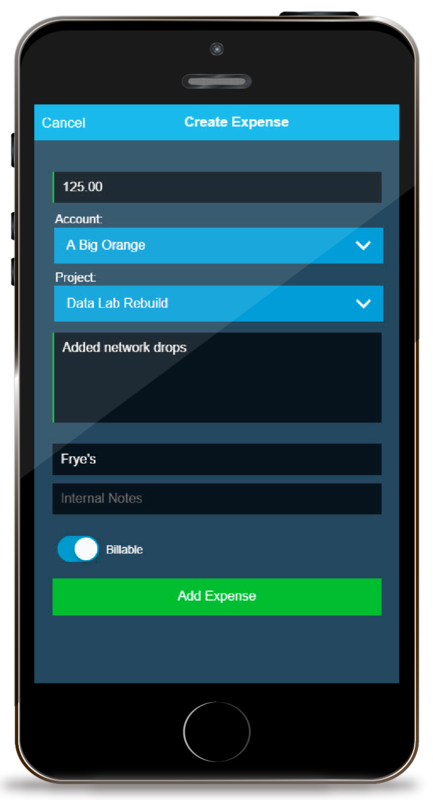 Easily track expenses from your desk or on the go. 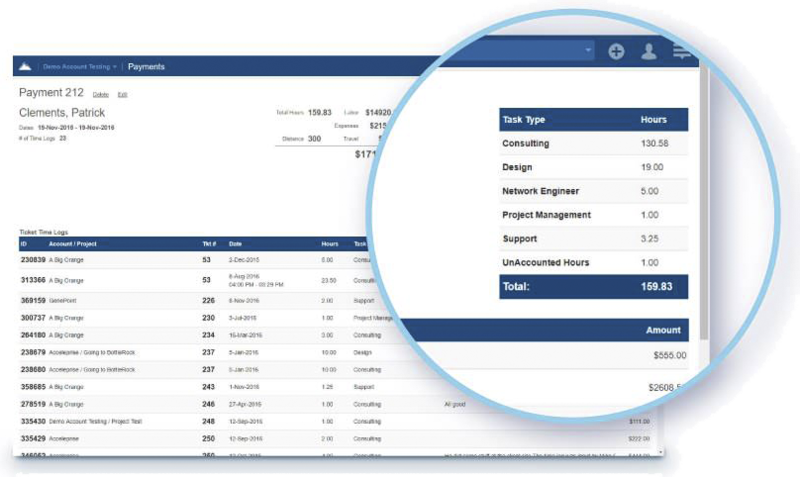 Quickly add them to invoices or set them as eligible for reimbursement. SherpaDesk helps you easily calculate what your time is worth per customer, project, task or technician. Just add your time and SherpaDesk will handle the rest. Set up global rate plans and then customize them for each customer. And don’t worry about looking at the clock to calculate time spent. Just start the timer and get to work. 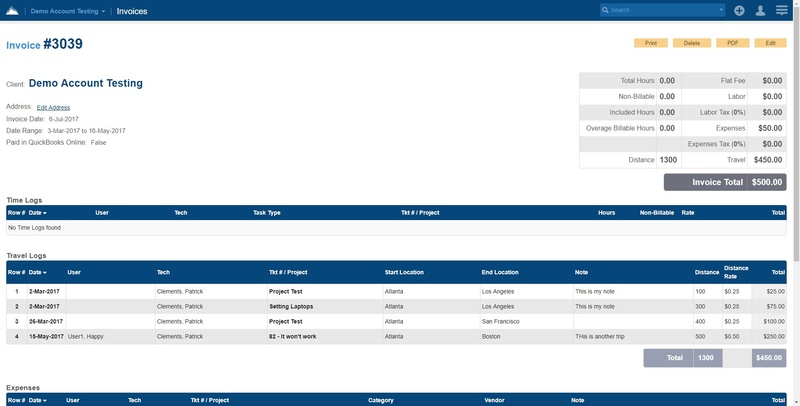 Get at-a-glance visibility into how your entire team is spending their time, and the status of each project or task. SherpaDesk. Guys over there listen to our needs. 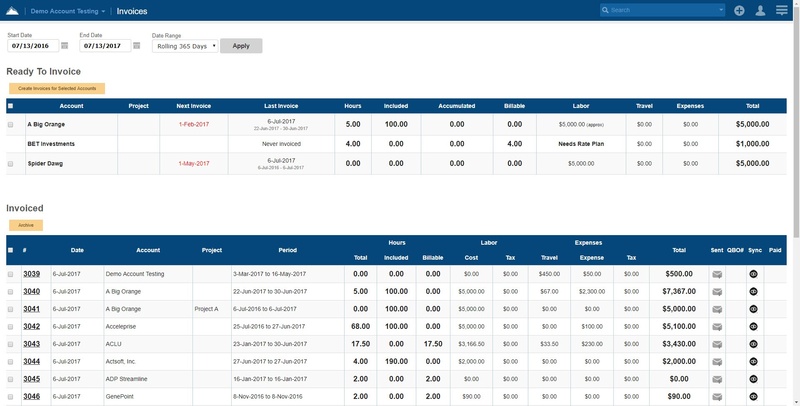 SherpaDesk invoicing software allows you to calculate hourly rates for each member of your staff. All your team has to do is enter their time and expenses, and SherpaDesk will make sure they are accurately paid. SherpaDesk’s Contracts feature enables IT Managers and professional services organizations to set up multiple recurring invoices for their customers. Keeping track and recording recurring billing items each month can be a pain. 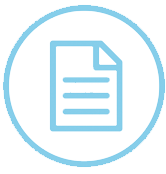 With SherpaDesk Contracts feature, each contract can include rate plans, recurring expense items, mileage rates and pre-paid packs. This makes sure that your organization is accurately keeping track of all your billable services and rates across all of your customers. Invoicing each month is now a breeze!